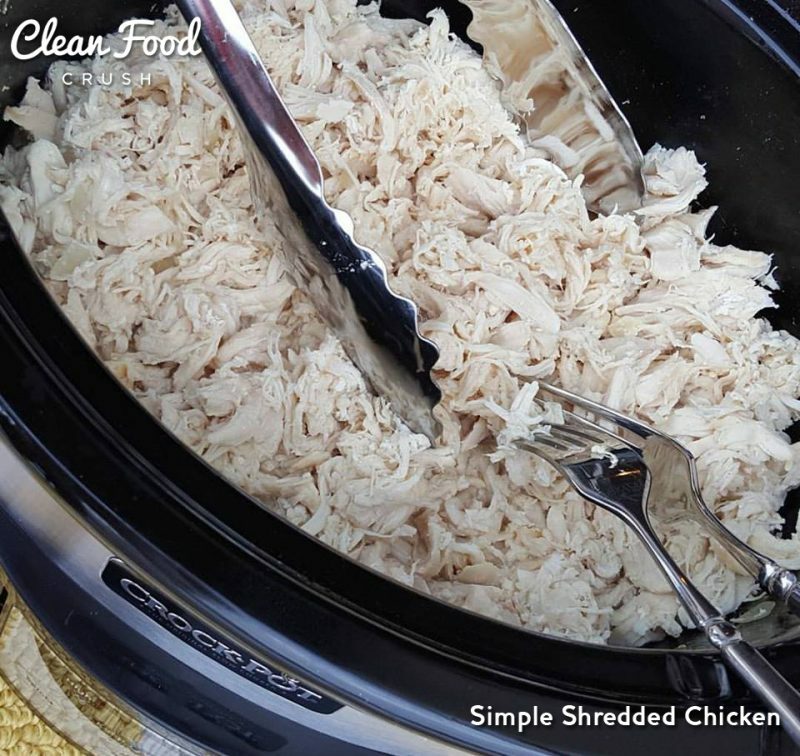 No other liquid is required because the chicken & onion produce their own cooking liquid..
Rather than shredding with forks, you can place hot chicken in your Kitchen aid (type) mixer & process for 1 minute. Instant shreds!. Divide into portions for the week..
Cooked chicken lasts refrigerated for 3-4 days if sealed well. 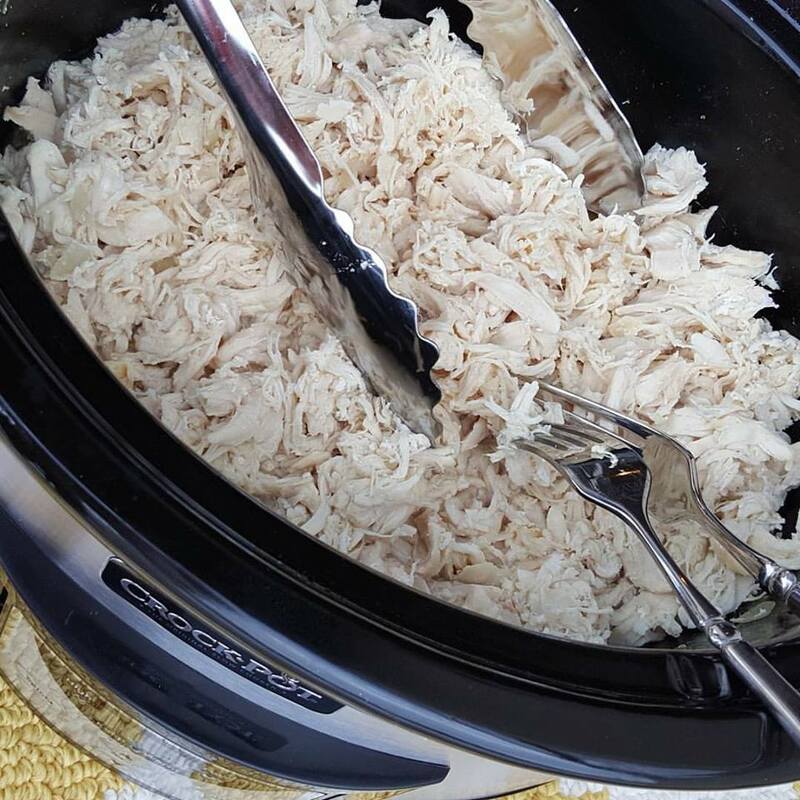 It’s great to keep portions of cooked shredded chicken in your freezer to have on busy evenings..
Rather than shredding with forks, you can place hot chicken in your Kitchen aid(type) mixer & process for 1 minute. Instant shreds!.